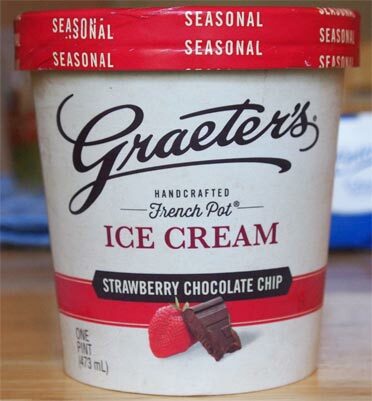 [Seasonal] When Graeters agreed to send over some free samples, I asked about seasonal flavors and look what we got, a strawberry flavor. We don't cover them often, but I always appreciate anyone who can make a decent strawberry flavor. 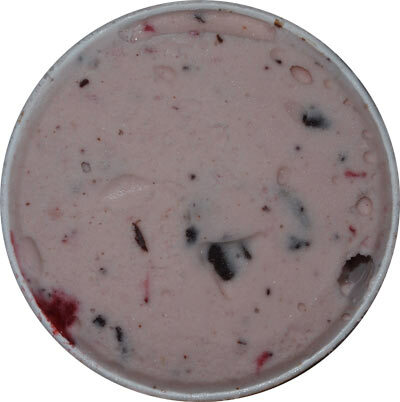 It's just a simple classic flavor that works great when the mood hits you for it. I can already see a nice chunk of strawberry, cool! I take my first few bites, and as hoped (expected), it's a top notch strawberry flavor. Just natural and pleasant. Oh yeah, this is going to make an excellent vacation day lunch. Just look at it! This is what you want in a strawberry flavor, those little bits of strawberries everywhere (and ofcourse plenty of graeters signature chips).... and there's one chocolate chunk that's bigger than my spoon hehehehe. Maybe a few more bigger chunks of strawberry would be nice, but I'm more than satisfied right now. I'm not sure what to say other than it's excellent. Just such a nice flavor. 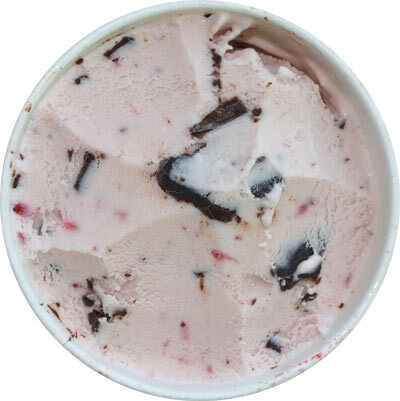 The strawberry flavor isn't too strong, it's not forgetting it's ice cream, plus the chips work well here. It's totally hitting the spot right now. Great job Graeters. Thank you for the snack! Dubba's Note: While I despise websites that post two (or three or four) separate reviews of the same product, I was so busy getting ready for our trip that I completely forgot that Nick reviewed this last year when it was called a "limited edition" flavor. 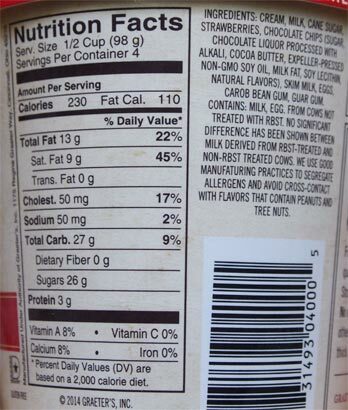 While the ingredients appear the same, the ratios must have changed because the nutritional stats are different with less fat and more sugar. Could more sugar mean more strawberries because more strawberries would mean more flavor, and flavor was what was a bit too mild for Nick. Maybe there was a consensus that it needed a little more oomph. Whatever it was, I'm glad this flavor is out there. 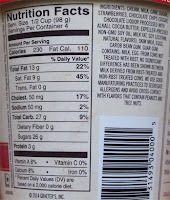 Edy's made tis flavor about 20-25 years ago and it was fantastic. I actually wrote them a letter (I was about 10) when they discontinued it, but I guess it wasn't popular enough to make a come-back. This looks delicious and I don't even like strawberry ice cream. I tried this because of your review, and loved it!!! Thank you!!! Just tried this flavor today. WOW was it incredible; and there were 2 chocolate chunks that took up half the pint by themselves (in addition to other good-sized chocolate chunks). Even though I'm in Ohio, I've never tried Graeter's before; and your reviews prompted me to do so. Thank for the recommendation! This flavor gets a 10/10 from me. This has been my favorite seasonal since highschool. I get the extreme pleasure of living where it all began. Whoop! Blueberry Pie is also divine.